Display your certificates, diplomas, degrees and other important documents in a frame that is worthy of your achievements! 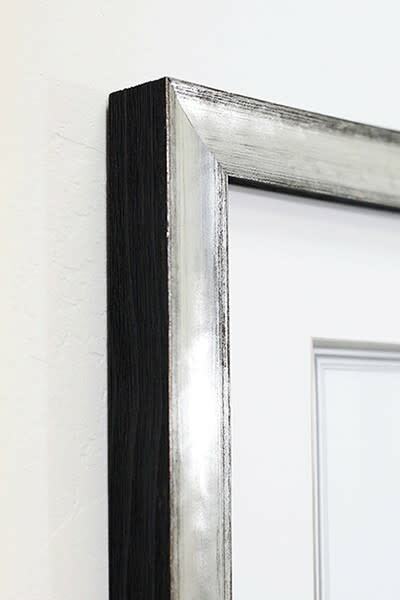 Designed to fit any standard 8-1/2 x 11 certificate, this modern bright silver leaf frame brings elegance and beauty to whatever it holds, and includes a matching fillet, an acid-free mat, and UV-filtering glass. The easy-open DIY backing ensures hassle-free assembly and a professional fit.